Yes, the FEANOR Special Team's ace pilot, X-FEANOR, has made his triumphal return to the Kills of the Week. He was discovered AFK on a stargate, completely oblivious to the fact that he was in New Order territory. His 4.6 billion isk Impel was attacked by Agents Winnie Po0h, Joel Kusion, Jake Kusion, Justin Kusion, Jayson Kusion, Jackson Kusion, Jason Kusion, Jeremiah Kusion, Joseph Kusion, Johnathan Kusion, and Jayden Kusion. 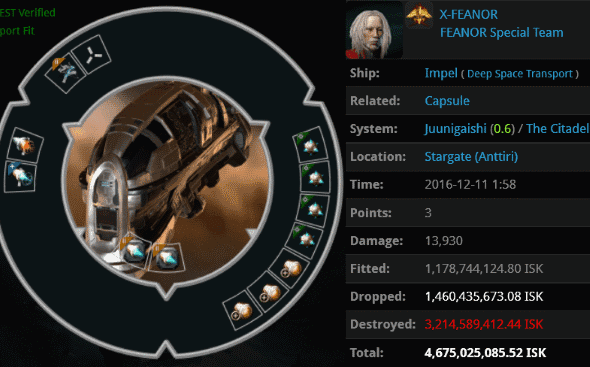 True to decadent form, X-FEANOR wasn't satisfied by losing merely 4.7 billion isk. No problem, because he was podded. 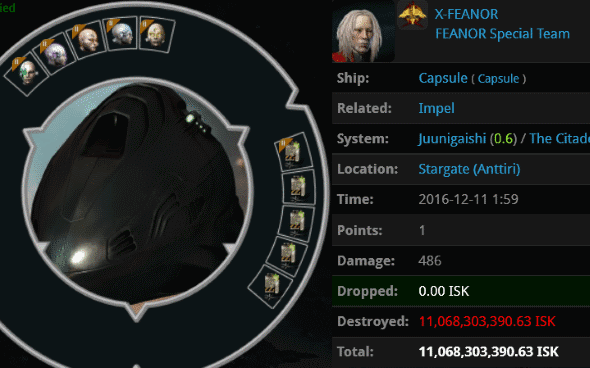 X-FEANOR lost a pod worth eleven billion isk, topping even his previous outrageous pod losses. The lucky Agents to get on this legendary killmail were KoHfeTHbIu TpoLLb and Winnie Po0h, just returned from an undeserved 30-day ban. This is what an 11 billion isk pod looks like. For some reason, X-FEANOR felt it was necessary to spend 11 billion on implants for a character that does nothing but haul. I strongly suspect he is a Goofus. But let us not be deceived into thinking X-FEANOR has a monopoly on decadence and foolishness. He'd like to create one, I'm sure, but he hasn't got one yet. 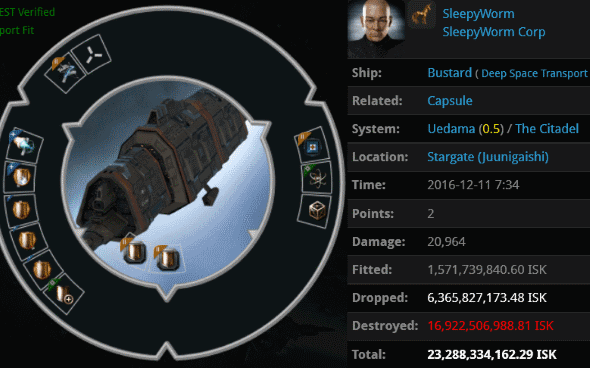 SleepyWorm loaded up a 23 billion isk Bustard, set his autopilot, and drifted off to sleep. His journey ended--as so many do--in the Uedama system. Agents Jayson Kusion, Winnie Po0h, Joshua Kusion, Jake Kusion, Jason Kusion, Johnathan Kusion, Jayden Kusion, Joseph Kusion, Justin Kusion, Jackson Kusion, Jeremiah Kusion, Joel Kusion, and KoHfeTHbIu TpoLLb gave the carebear a memorable wake-up call. Speaking of the Kusions, they had also been given an unnecessary 30-day holiday, and must've been famished. They found a place of honour on yet another high-value kill; you know a killmail is going to be good when it has lots of zKillboard comments on it. 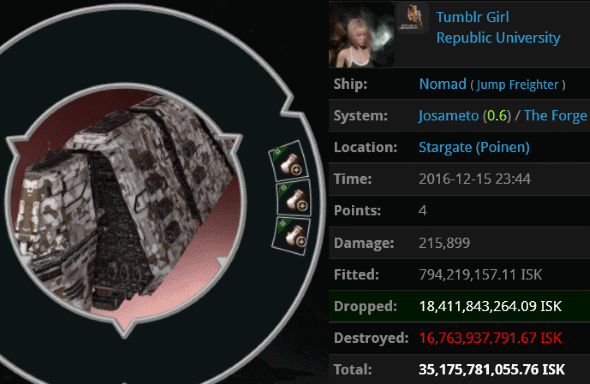 Tumblr Girl managed to lose 35 billion isk on a "highsec super". Her jump freighter was equipped with three quarters of a billion isk in ORE Expanded Cargohold modules--already a terrific Code violation before she added the cargo. Her ship had plenty of fuel for jumping away, but I suppose she never saw the need to use any of it, even as she was being attacked by a fleet of gankers: Agents SynthiaGreey, Logical Fallacy, Miner Compliance Officer, Hayley, Nin Rin, Yvain Bluewater, Prixm Wind, Logical Fatality, big brutor three, Justin Kusion, Joel Kusion, Jack Fizzleblade, Jayden Kusion, Unfit ForDoody, Darnoth, Jake Kusion, Jayson Kusion, Elite Highsec PvP, Jackson Kusion, Jeremiah Kusion, Arobaz, BAE B PEW, Jason Kusion, Ido Adudu, Joshua Kusion, Johnathan Kusion, Turkey Baster, Hermann Fizzleblade, Johnny Rah, Unwarranted Assumption, Eugenie Brazier, Joseph Kusion, BAE B BLUE, Franz Fizzleblade, Archibald Fizzleblade, Gottfried Fizzleblade, big brutor four, Hagen Fizzleblade, Etriza Billy-Bob Togenada, Dione Naari, Pod Life 2k16, and Chinese Lawyer. I'm sure she had a good reason for being AFK. But our Agents had an even better reason for ganking her: The Code. Only during a week like this could someone commit a crime as foul as LFG's and have it overshadowed. He disgraced himself with a mining Naga, which was equipped with a pair of ORE cargo expanders. Luckily, he was stopped by Agents shootyou longtyme and Leeroooy before he could do further damage. 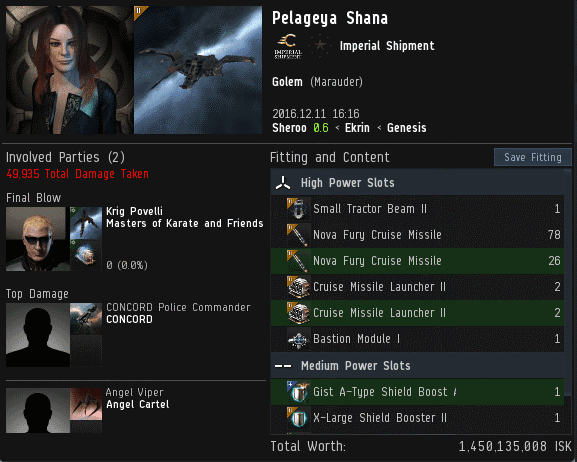 Pelageya Shana attempted to use her Golem to suicide gank Agent Krig Povelli, who was flying a mere frigate. Pelageya's gank failed and CONCORD escorted her ship to its fiery doom. 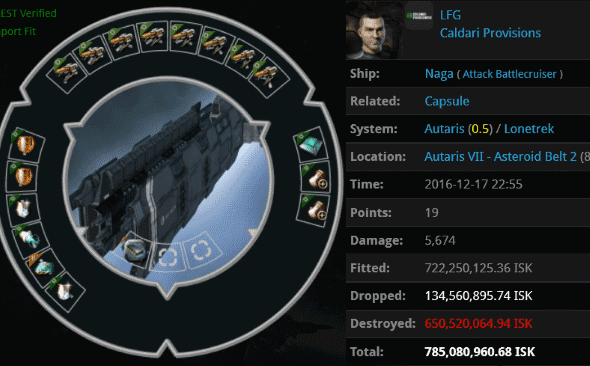 She lost 1.4 billion isk. The carebears say ganking is risk-free. Tell that to Pelageya! And then give her a copy of the Code to read. What a week that was! Welcome back to the Kusions and the Russians after their enforced absence from our space. When locking onto veldspar in a naga, aura says, " the asteroid is defeated " instead of depleted. O M G that P O D! Thanks 253 PHag, I knew you wouldn't let me down, but maybe a bit more butthurt and tryhard next time. Still, good to see H.O.M.O. tears being shed over internet pixels. Your impotence makes smile. Loyalanon is wishing he was still ganking freighters. Kusion team is making him super jealous right now. But loyal is making you super salty right now. But where oh where are the salty highsec PHag tears? Come on you H.O.M.O.s, post more sperg! Wow, those killmails are insane, how one can be so stupid and equip 11B+ implants into a pod. 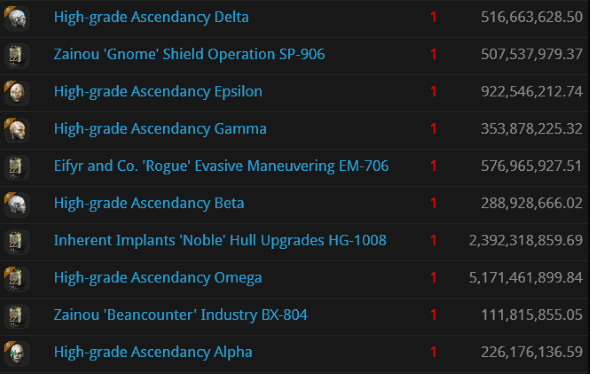 I also saw a 145B Chremoas loss on killboard the other day, what a waste of ISK. Shaking my head... a mining Naga? What is this world coming to? Thank you agents for putting this terrible abomination out of its misery. The Nomad,,, as a former freighter pilot, sent me into hysterical fits of laughter.